This 60 meter high islet marks the boundary between Dwejra bay and the open sea. Known by the Maltese as the Generals Rock, the name Fungus Rock was given due to the Maltese Fungus which can be found on the flat top of the Rock. 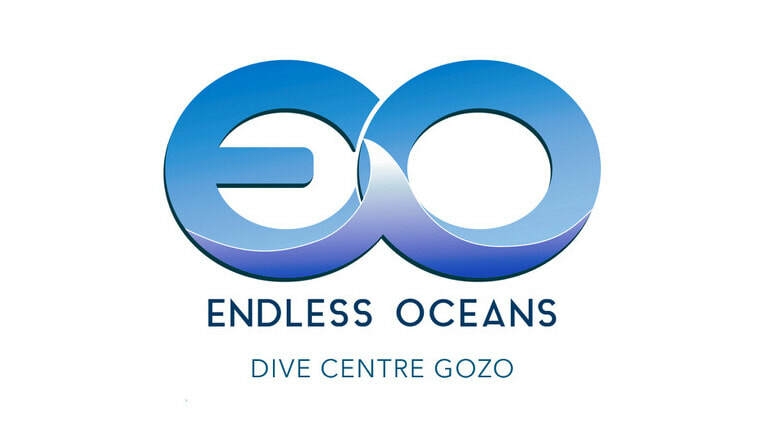 The dive is done by boat and starts where the shelf of Dwejra Bay meets the Mediterranean. From here we follow the drop-off until it meets the shelf again, there are quite often large schools of barracuda and blue runners hunting here. The dive is finished in the bay where juvenile fish abound during the summer months and octopus and cuttlefish are a frequent find. 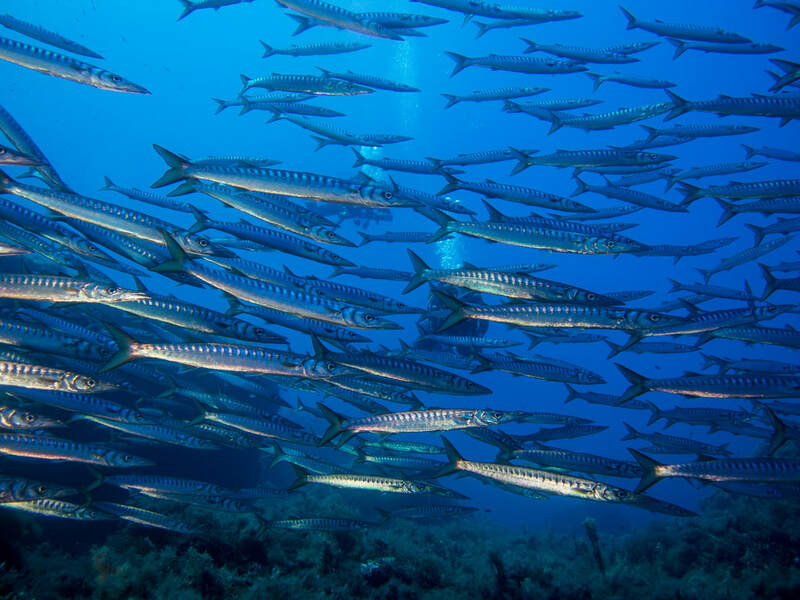 School of baracuda typical of those spotted during dives at Fungus Rock.